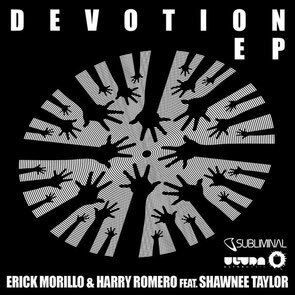 Erick Morillo recently released ‘Devotion’ together with long-time collaborators Harry Romero and Shawnee Taylor. First premiered on Pete Tong’s Radio 1 show last summer, the release has been a long time in the making. Now, with its release via Ultra Music/Subliminal Records, the Subliminal head honcho also offers up the original mix alongside exclusive remixes from Amine Edge & DANCE, Oliver $ and Simon Field! Amine Edge & DANCE bring their ‘G House’ vibes to the edit, as they pair Taylor’s soulful voice with a large bassline. Oliver $ switches up the original and turns it into a house track that wouldn’t sound out of place being released on a label like Defected. Norwegian artist Simon Field rounds out the remix package as he utilises a deeper bassline that serves Taylor’s vocal perfectly. ‘Devotion’ marks the second time Morillo and Ultra Music have teamed up for a track following the release of ‘Let The Freak Out’ late last year, with more music set to drop in the coming months from artist and label. Romero’s presence cannot be understated, having worked with the Colombian/American since the early-90s on many tracks and even owning the offshoot of the Subliminal, Bambossa. Taylor lent her voice to one of Morillo’s biggest hits of the decade with ‘Live Your Life’. With a busy year ahead, the Miami-resident is set to continue his SLS residency in Las Vegas before returning home to play a headline slot at the Groove Cruise on 28 January.